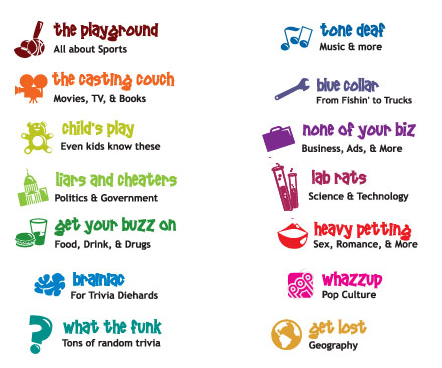 World Tavern Trivia has 14 fun and exciting categories for the Big Brain to choose from. Remember! World Tavern Trivia is a "Game For The Rest Of Us". So come out with some friends, get some food, have a drink and play World Tavern Trivia. Have fun!